Wait, wait, wait… What’s that? This salsa’s made from chocolate? Well, we’re not complaining – and after tasting BlueBella’s range of Sweet Sassy Salsa’s, we don’t think you will, either! These luxurious, dark chocolate salsas are a treat for the soul, in more ways than one. While they’re delicious, they also boast quite a few key ingredient features that make them desirable for vegans and the gluten-intolerant alike. They’re gluten free, dairy free, low in salt, contain no MSG, artificial flavours or preservatives,and…well, let’s just say you’ll want to eat them with a spoon. 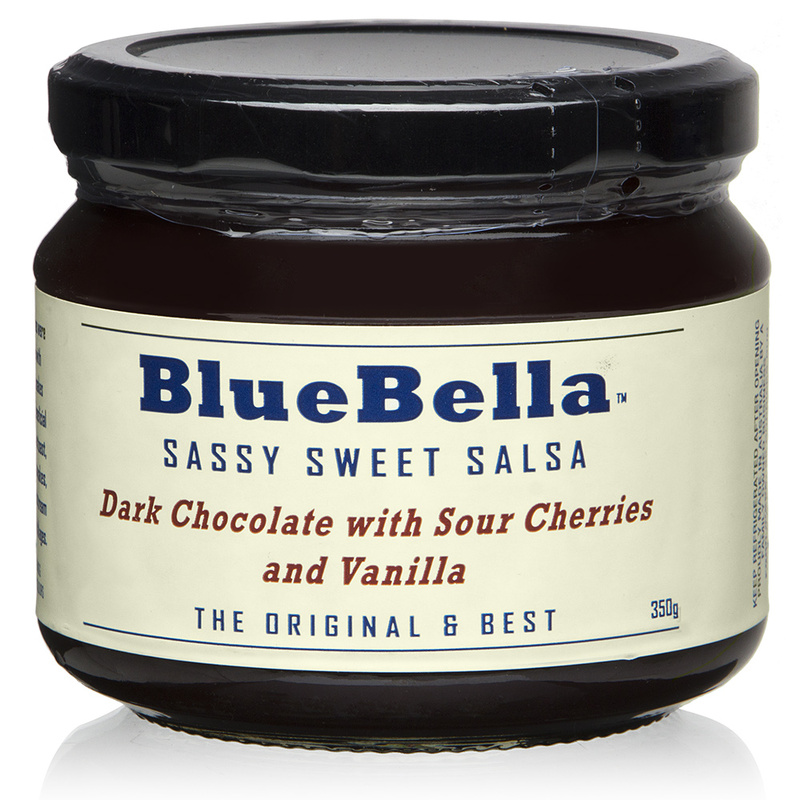 This Sassy Sweet Salsa variety contains soft, dark chocolate, sour cherries and ever-popular vanilla. It’s perfect for spreading on toast, pancakes, croissants and cakes, but can also be used with meats as well. We know you didn’t need another excuse to love chocolate – but you ought to try these today! No MSG, preservatives, artificial flavours or colours. Soft, luxurious dark chocolate blended with sour cherries and vanilla. Spread on toast, pancakes, cakes, or pair with kangaroo and venison.